Motivational Wall Sticker. Decorate your bedroom, living room or office with this inspirational wall sticker. 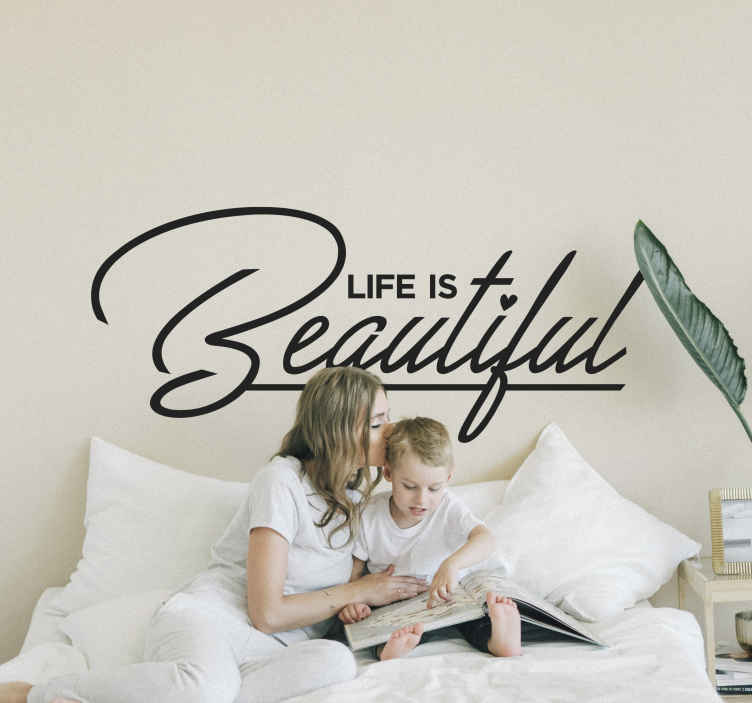 The removable wall sticker consists of the message "Life is beautiful" written in an elegant font. This sticker reminds us life is short and it's important to enjoy the small things in life. The sticker is available in a wide range of sizes and colours. Our stickers are easy to apply to any flat surface and leaves no mess on the wall.